Birth of Johann Jakob Froberger in Stuttgart, Germany. 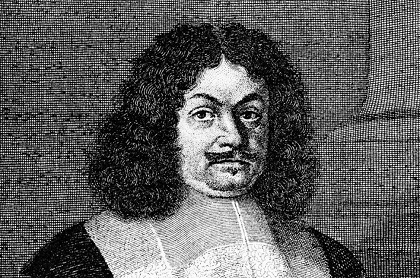 Froberger was an outstanding composer of the early Baroque period. He composed at the court of Vienna from 1641-1645 and from 1653-1657. He composed primarily for the harpsichord and organ. Birth of Adolf von Lützow in Berlin, Germany. After Napoleon had defeated Prussia, Lützow organized a cavalry numbering over 3, 000 troops (the Lützowsche Freikorps) which operated in guerrilla fashion behind French lines. His corps continued activity until the final defeat of Napoleon. Birth of Friedrich Augustus II, king of Saxony, in Dresden, Germany. Friedrich Augustus had granted a certain degree of democratic reform in Saxony prior to 1848. However, he felt that the constitution adopted by the Frankfurt Assembly of 1848 went too far and refused to support it. As a result he experienced a revolt among his own people in 1849 which he was able to put down only with the help of Prussian troops. Birth of Wilhelm Hofmeister in Leipzig, Germany. 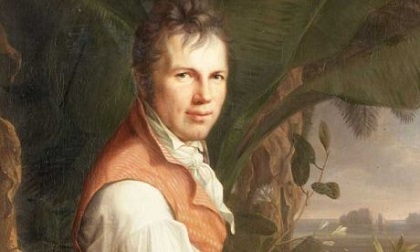 Hofmeister was a botanist who was a pioneer in comparative plant morphology. He was a professor at the University of Tübingen. His most important work is found in Vergleichende Untersuchungen (1851). 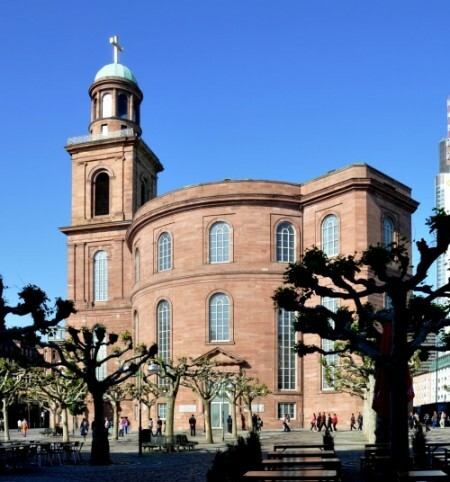 Opening of Germany’s first parliament at the Church of St. Paul in Frankfurt. The parliament is constituted to have 649 members but is never able to achieve the full number. On the average 400 to 450 delegates attend sessions. The parliament developed as a result of the revolutions in the winter of 1848. Birth of Hermann Müller in Mannheim, Germany. Müller was a member of the SPD who served twice as chancellor during the Weimar Republic. He was able to negotiate the Young Plan which somewhat reduced the reparations demanded by the Versailles Treaty. He resigned as chancellor in 1930, unable to deal with the disastrous effects of the depression. Birth of Walter Gropius (1883-1969) in Berlin, Germany. An architect who was director of the Bauhaus in Weimar and Dessau from 1919-1928 Gropius designed buildings at the Bauhaus complex in Dessau, The Harvard University Graduate Center ant the U. S. Embassy in Athens. 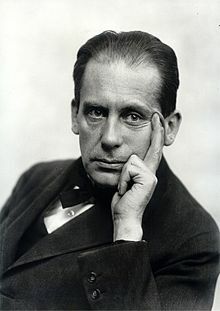 Gropius studied in Munich and Berlin. He pioneered the prefabrication of building components. During World War I he served with the German cavalry. In 1915 he married Alma Schindler, who at various times also married several other European notables including Gustav Mahler and Franz Werfel. Gropius left Germany in 1934 and in 1937 accepted a position at Harvard University in the United States. Birth of Rudolf Carnap in Ronsdorf, Germany. 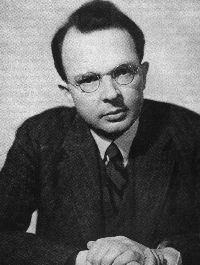 Carnap was a philosopher within the school of logical positivism. He studied at the universities of Jena and Freiburg. His academic career began at the University of Vienna where he was very influential in the “Vienna Circle” of philosophers. He became interested in the philosophy of science and in 1930 he founded, with Hans Reichenbach in Berlin, the journal “Erkenntnis”. Among his books are, Der logische Aufbau der Welt (1928), Logische Syntax der Sprache (1934), Meaning and Necessity (1947), and Logical Foundations of Probability (1950). In 1936 he immigrated to the United States and taught at the University of Chicago. In 1952 he joined the Institute for Advanced Study in Princeton and in 1954 the University of California at Los Angeles. Death of Gustav Mahler in Vienna. Death of Eduard Adolf Strasburger in Bonn. Strasburger, a plant cytologist, earned his doctorate at the University of Jena. He taught at the universities of Warsaw, Jena and Bonn. Strasburger developed an accurate understanding of the embryonic sac in gymnosperms and angiosperms. In his Über Zellbildung und Zelltheilung he developed the principles of mitosis and showed also that nuclei can arise only from the division of other nuclei. In 1882 he coined the terms “cytoplasm” and “nucleoplasm”. 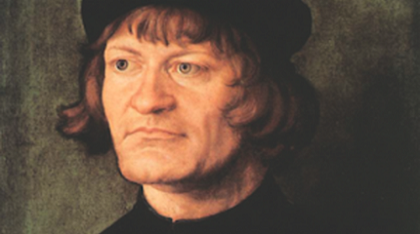 He discovered that the rise of sap is a physical rather than physiological process. In the United States the Selective Service Act is passed to raise the army needed to participate in WWI. Archbishop Eugenio Pacelli (later to become Pope Pius XII) undertakes his first trip to Germany as ambassador of the Vatican. He will take up a residence in Munich. Death of Blessed Blandina (1883 – 1918) Blandina is the name chosen upon her entry into the Ursulan order by Maria Magdalena Merten. She was born in the village of Düppenweiler, Germany in 1833. 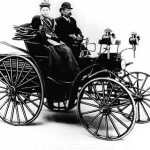 She entered the Ursulan order in 1908 and took her final vows in 1913. She was active as a teacher in Saarbrücken and Trier. She contracted tuberculoses in 1916 and died of the disease in 1918 in the convent in Trier. During her lifetime she was noted for her great piety. During her illness she was noted for her deep faith and patience. She was beatified by Pope John Paul II on November 1, 1987. Her day of remembrance in the Church is May 18.